Simply put, there are two ways to make your business a more efficient one: by caring about employees and the space they work in. Keeping that in mind, Lilli Hender from OfficeGenie.co.uk paves the path to efficiency with five easy steps. Do not miss them! This may sound like an odd place to start, but it’s crucial. As one of the basic elements we need to survive, it’s not surprising that the air we breathe has an impact on or work. High quality air – air with low CO2 levels – has been found to boost brain power when compared to ‘conventional’ office air. Clearly, altering air is not an easy thing to do, but a couple of modifications here and there can help: Adding plants to the office, encouraging people to take walks during lunch hour, or simply opening the windows will give your employees the opportunity to breathe higher quality air. There are so many things you can do with an office space, it’s difficult to know where to start. What colour should the walls be? What furniture should we buy? Open plan or closed plan? Science can’t provide all the answers but, if you’re in need of help, studies have found that people respond better to rounded furniture; the colours blue, green and red; and as for open plan offices, the majority of people think they’re a no-go. Physical and emotional comfort are important factors for an efficient office. Ergonomic equipment, such as a chair with lumbar support or a vertical mouse, and home comforts, such as cards and photographs, can help motivate employees. You spend most of your waking life in the office so it makes sense to surround yourself with familiar and comfortable things! 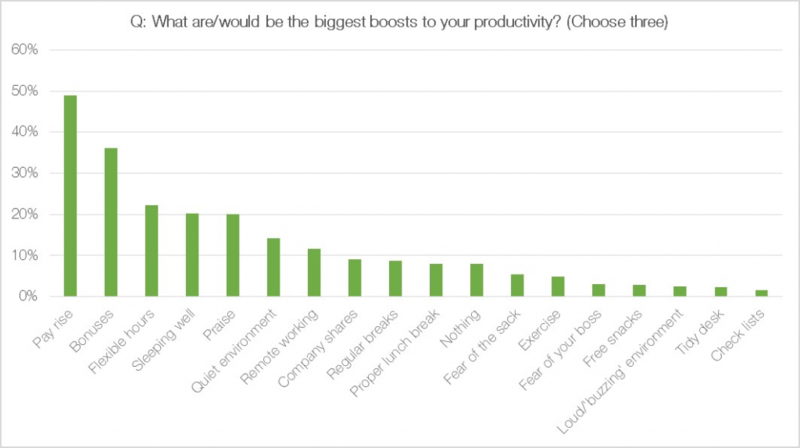 In a recent survey by Office Genie, a ‘quiet office’ and ‘remote working’ were ranked 6th and 7th in terms of their positive effect on productivity; falling behind monetary incentives such as pay rises and bonuses, but coming in ahead of health related factors such as exercise and a proper lunch. There is clearly an appetite for a quieter working environment and thankfully, a quiet working zone is easy to set up. Listening to music, however, has been shown to improve mood and resourcefulness, showing that when noise is on your own terms, it can be a good thing. So grab your noise cancelling headphones and stick on Taylor Swift. When businesses rely so heavily on the internet, there is little worse than slow broadband or glitchy computer systems. Investing in your technology will pay on the long run: it cuts down on wasted time and employee stress. Hearing someone bash angrily away at a keyboard or frantically click a mouse isn’t anyone’s “dream” environment. If these solutions don’t create the efficiency miracles you were hoping for, you can always kidnap the nearest cat/dog/guinea pig. 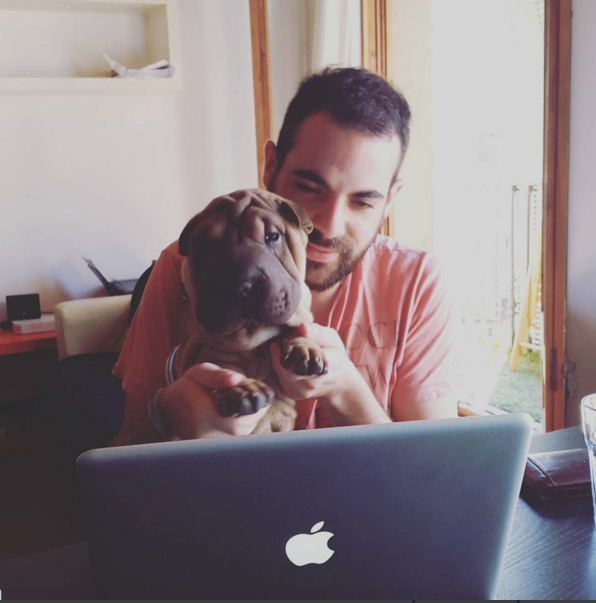 Science says office pets are worth a hundred wrist rests. Well maybe not, but they have been found to be great stress relievers. Printsome is a custom clothing agency which provides T-shirt printing London to theT-shirt printing UK. For a quick quote or just a nice chat about your workspace, get in touch!